Enter your email address and password you entered when creating your login. 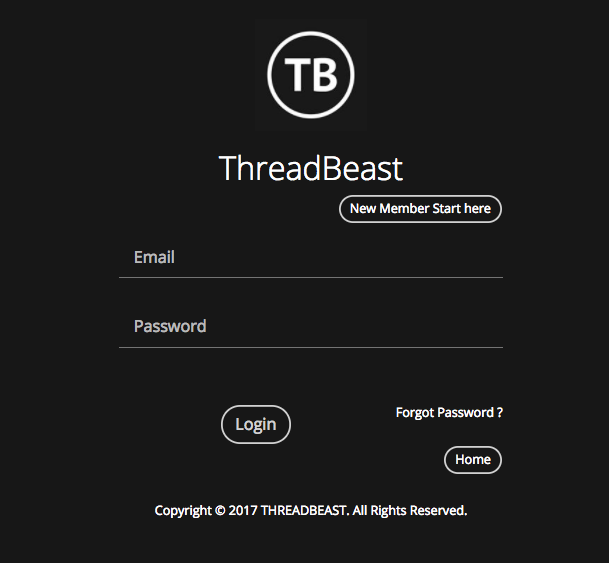 If you're a member, and haven't created your login, please click the button below for instructions on how to create a ThreadBeast login. If you have any questions, please email assistant@threadbeast.com for immediate assistance.